Mindfulness has become quite a buzzword in the last few years. Unless you’ve been living under a rock, you’ll have heard how it can help to reduce your stress, make you feel calmer and sleep better. Great! Who doesn’t want that? Trouble is, when you’re super busy – which is now the default state for most of us – finding time for mindfulness is easier said than done. We get it. But then we also know how much women in particular stand to gain. Ever heard yourself saying how woman are better at multi-tasking than men? It’s certainly true that we tend to multi-task more. Juggling the competing needs of work, children, parents and home life takes some serious organisation skills. But is it good for us? In a word, no. Multi-tasking actually makes us less efficient and more likely to make mistakes. It causes us to feel distracted and overwhelmed, with increased levels of the stress hormone cortisol in our bodies. Research shows how mindfulness improves your ability to focus. By focusing your attention on your breath – and refocusing each time your mind wanders – you strengthen your attention span. You also learn to notice your thoughts and emotions without getting carried away by them. It’s probably not news to you that women tend to worry more than men. According to global research, women are twice as likely as men to suffer from anxiety. The reasons for this are many and complex – but it’s thought that estrogen can have a strong effect on our brain chemistry. By teaching us how to slow down from our perpetual state of ‘busy-ness’, mindfulness helps us to spend more time in the present moment. And the more time we spend being present, the less time we spend fretting over the past and worrying about the future. Here’s another generalisation that may hold water: women typically have less self-compassion than men do. We’re often taught that we should focus on others, be kind to others, take care of others etc. The thought of making time for ourselves can feel alien to many of us. Does ring true for you? If so, mindfulness can help you let go of the belief that it’s selfish to take care of your own needs. In fact, it helps you to see that the reverse is true. When you mindfully pay attention to your own needs and make time to nourish yourself, you have more energy to give to others. Mindfulness is a gentle practice that teaches you to pay more attention to your thoughts, your feelings, and the world around you. It involves sitting or lying in silence and focusing on your breathing and the sensations in your body. It can be as long or as short as you want it to be. Even just taking 3 long, mindful breaths can make a difference to how you feel. When done regularly, mindfulness can bring about many benefits, such as decreased stress and anxiety, improved sleep – even a reduction in menopause symptoms. More and more people are now discovering mindfulness via an app. And while there are many mindfulness apps on the market, only one has been designed by women especially for women like you.  Clarity is a mindfulness app that can ease you into and through your 30s, 40s and 50s. It features a range of short meditations and mindfulness exercises specifically designed to calm your anxiety, improve your sleep and help you feel more relaxed. If you’re feeling overwhelmed or are looking for specific support, just click on the star icon. We’ll ask you what your symptoms are so we can recommend sessions that could help you at that particular moment. With the Clarity app on your phone, you can create pockets of calm and stillness in your day. Our sessions are between 1 and 30 minutes’ long so there’s a track to suit however much time you have to spare. With practice, you may find you’re able to make more and more time for self-care. Download Clarity app and you‘ll get instant access a range of free sessions. The 3-minute breathing space or our super-relaxing body scan meditation are both great places to start. Love how these sessions make you feel? Take out a subscription and you’ll get unlimited access to all of them – plus you can download your favourite sessions to use offline. As a special offer, you now can get a 6-month subscription for a low introductory price. And all our subscriptions start with a free 7-day trial so you’ve everything to gain and not a thing to lose. Isn’t it time you got some Clarity in your day?